Did you know that the human body is composed of an average of 60% water? In fact, the brain and heart are made up of 73% water, the lungs contain 83% water, our skin is 64% water, our muscles and kidneys are 79% water and even our bones are 31% water (source). Kind of crazy when you really think about it - we are basically a walking body of fluid! Because our total body water varies by about 1% each day, mostly through water loss via perspiration and urination, it is important to make up for this loss with sufficient daily fluid intake (source). 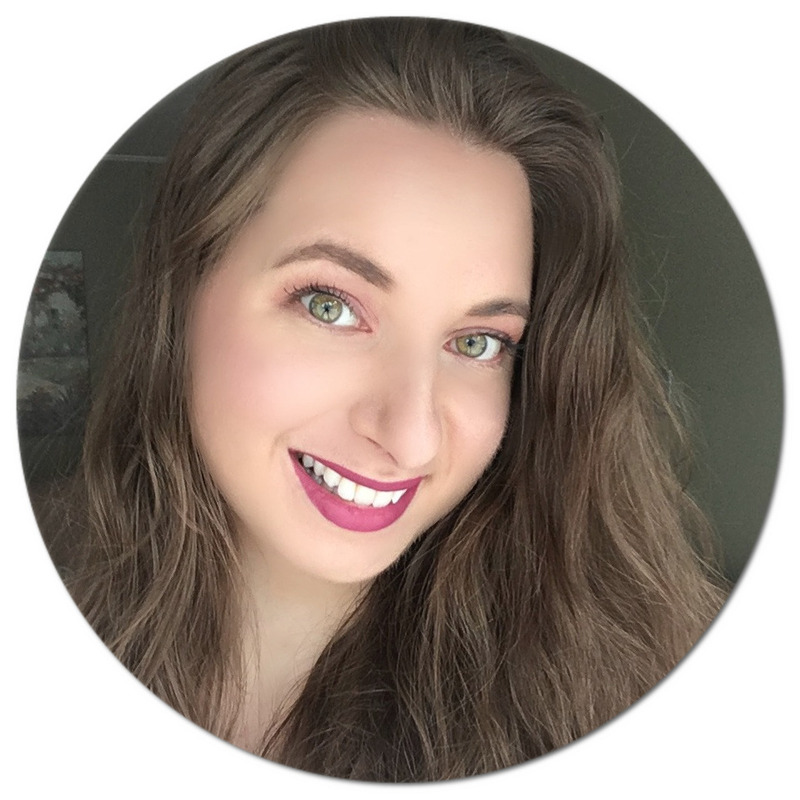 I'm sure you are all aware of the importance of drinking water (I personally aim for 2+ liters per day), but it isn't until recently that I learned about water quality and how you can test your tap water to make sure it is safe for drinking thanks to ZeroWater*. I don't know about you, but I never drink water straight from the tap at home - from a young age I was taught to boil water before drinking it or go for the bottled variety. We have a big 18 L water cooler dispenser at home which we refill constantly to avoid using small plastic bottles when possible. 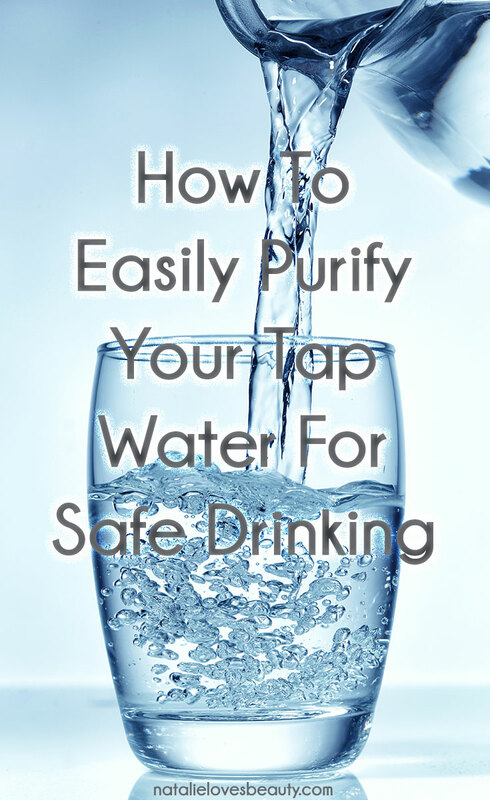 I always assumed this was the cleanest water I could drink, but after looking into water filtration systems and comparing TDS (Total Dissolved Solids) levels of different water sources with a TDS meter, I was shocked by the results! I thought I would share my findings, because I wish I had known what a difference using a filtration system can make and hopefully this may also help those of you who have been looking into one (without spending a fortune I might add). ZeroWater claims to remove 99.6% of Total Dissolved Solids (compared to Brita's 65% average removal rate) and is certified to reduce lead, mercury and chromium content. 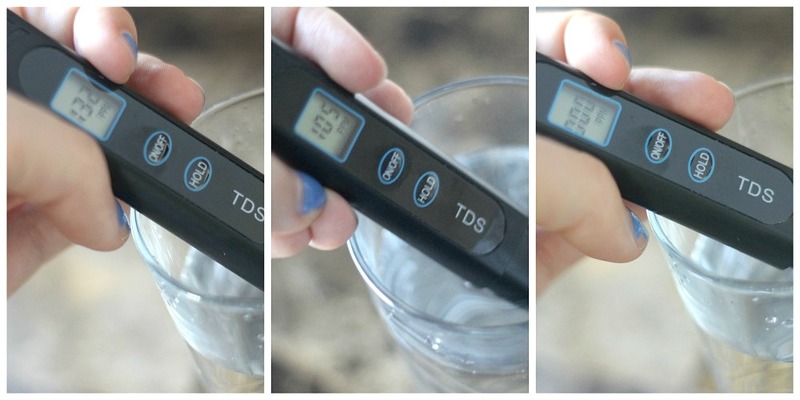 One of the easiest ways to test the water quality in your home is with a handheld TDS meter. At the press of a button, you know just how pure and safe your water is for drinking. The FDA recommends that purified bottle water be between 000-010 ppm, or parts per million (which also happens to be the average level of rainwater), so imagine if you could get your tap water to such a low level? 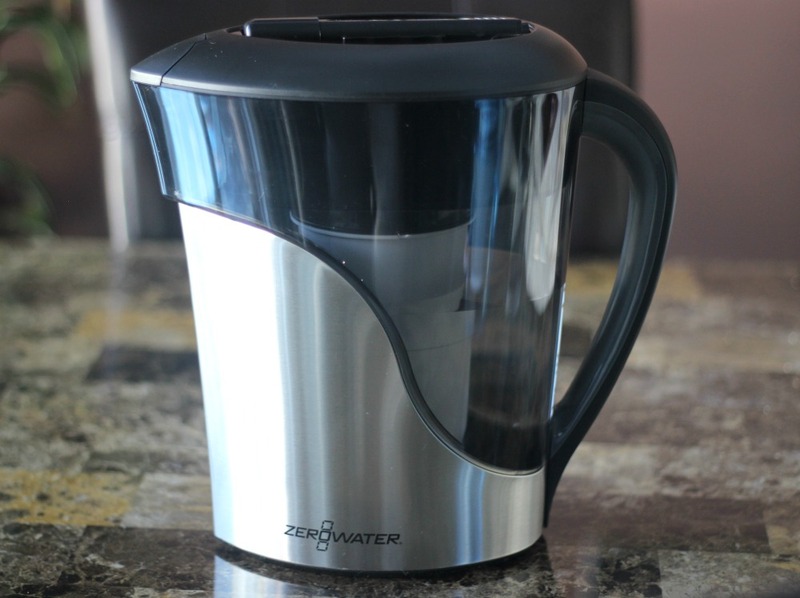 ZeroWater claims to be the only filtration system on the market to reach FDA levels for purified bottled water (hence the name), so I was really looking forward to put their filters to the test. 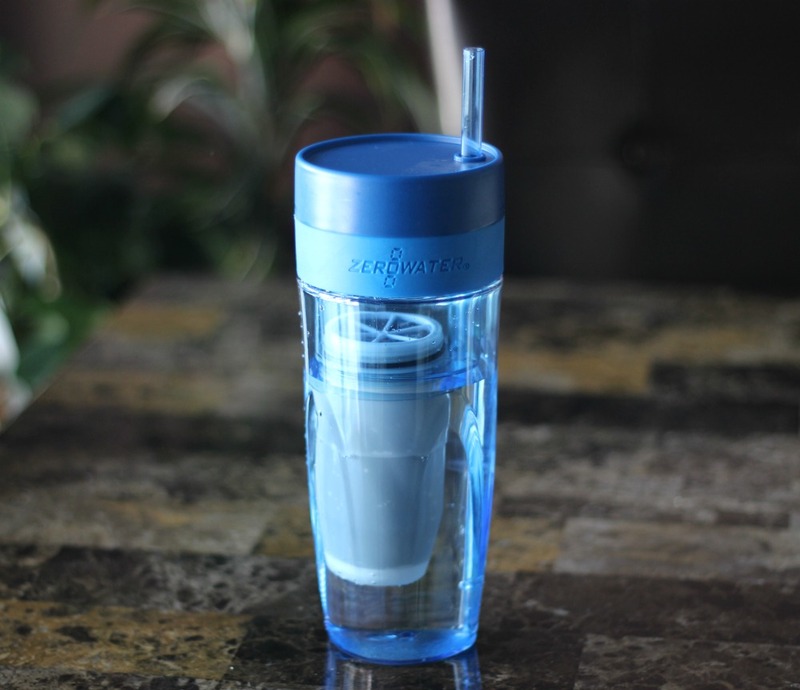 I received a ZeroWater 8-Cup Stainless Steel Pitcher* (US$39.99), a 26-ounce Blue Tumbler* US$14.99) and a TDS meter* to test just how clean the water I normally drink is and see if a filtration system really makes that big of a difference. I first measured my tap water, and the reading showed a whopping 132 ppm, which is significantly high (home water can reach levels as high as 300 ppm - yikes)! I then decided to test the bottled water we use in our 18 L water cooler dispenser, and I was shocked that it was still pretty high at 105 ppm (granted, we've had it for over 10 years so there might be rust involved raising the level). I then filled up my ZeroWater pitcher and let the water run through the filtration system and the reading came back at 000 ppm, just as they claimed - I was amazed! The ZeroWater filtration system works in five stages, alternating between removing suspended solids such as dust and rust, organic contaminants including pesticides and herbicides and inorganic compounds such as metals, nonmetals and even radiological contaminants. All their devices are BPA free and each pitcher comes with a water testing indicator. Both the pitcher and tumbler come with their own filters that are equipped with a colour change window so that you don't have to guess when to replace them. 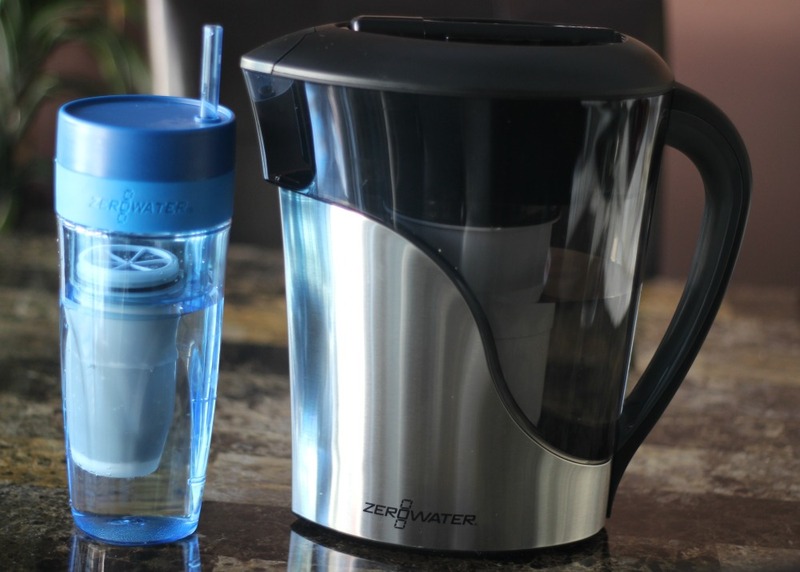 ZeroWater's mini filters are even compatible with Brita's pitchers and dispensers, so if you are a current owner, you can try the latest and most efficient filtration technology without having to commit to buying a whole new system. I know a final question you may have - does it still taste like tap water after passing through the filter? I can confirm it does not! You can shop ZeroWater online and at major retailers in the US and Canada, including Home Outfitters, Walmart and Loblaws. Do you own a water filtration system? *Disclaimer: Product was provided and reviewed in accordance with my Disclosure Policy. I am much grateful to your post. Since more and more have been learnt about water for injection systems, and that much of purity should be followed for domestic purpose.